OEM Group is the primary Western Australia distributor for Spitwater. 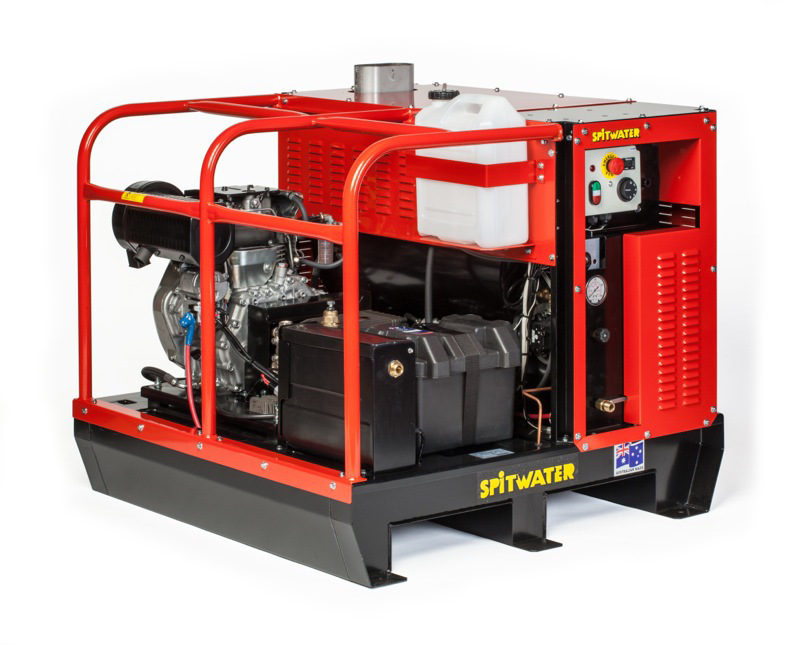 Spitwater high pressure water cleaners are high quality, Australian made, reliable pieces of equipment. Designed for a wide range of industrial and commercial applications, they have been built to reliably solve problems relating to washing, degreasing and disinfecting in a wide variety of situations. Their main applications are in the cleaning, building, transport, light and heavy manufacturing industries. We carry a wide range of spare parts and offer servicing/repair services.